West Virginia’s attorney general is once again leading a coalition of states against the U.S. EPA’s carbon agenda — this time against the Clean Power Plan’s companion, the carbon emissions rule for new power plants. Attorney General Patrick Morrisey on Nov. 3 released an unofficial version of his petition for review of the EPA’s new source rule, which will be submitted to the U.S. Court of Appeals for the District of Columbia Circuit. While he provided few details of his challenge, Morrisey pledged to show that the rule exceeds the EPA’s statutory authority and is otherwise arbitrary and capricious. Those seeking to challenge an agency action must indicate their intent to do so within 60 days of a rule’s publication in the Federal Register, although they do not have to lay out their arguments in that filing. The Clean Power Plan establishes statewide carbon dioxide emissions standards for existing fossil fuel-fired electric generating units, with the goal of cutting CO2 emissions 32% as measured from a 2005 baseline by 2030. The new source rule sets similar emissions standards for new fossil-fired generation, but also includes a carbon capture and sequestration requirement for any new coal facilities that may be built in the future. North Dakota was the first state to challenge the new source rule, and legal experts have predicted it could be the key to bringing down the Clean Power Plan. Under the relevant Clean Air Act provisions, the EPA must regulate new sources of emissions before it can regulate existing sources of emissions, and so a successful challenge of the new source rule could effectively halt the existing source rule. Joining West Virginia in the challenge are attorneys general for the states of Alabama, Arkansas, Florida, Georgia, Indiana, Kansas, Kentucky, Louisiana, Missouri, Michigan, Montana, Nebraska, Ohio, Oklahoma, South Carolina, South Dakota, Texas, Utah, Wisconsin and Wyoming, as well as the Arizona Corporation Commission, the Louisiana Department of Environmental Quality, and the North Carolina Department of Environmental Quality. CHARLESTON – Coal production in the United States increased this week. Production in the United States was up by 438,000 tons (2.5%) to finish the week at 17.80 million compared to last week’s total of 17.37 million tons. Meanwhile, production for the week is off by 1.76 tons (4.6%) from the 19.59 million tons produced the same week in 2014. Cumulative production for the year-to-date remains sharply down as of September 19th, coming in at 656.61 million tons compared to 715.69 million tons last year – a decline of 59.08 million tons or 8.3% – a slight narrowing of the gap. Production for the previous 52 weeks also continues lower from last year– finishing at 937.03 million tons compared to 981.43 million tons for the same period ending in 2014 (-4.5%) – a slight widening of the gap over the longer period. Meanwhile, the number of coal rail car loadings remains sharply down from last year, finishing the week at 103,244 cars loaded, off 9.3% from same week in 2014. Coal loadings also continued their decline year-to-date – off 9.1% from the same period in 2014. Coal exports were not updated this week. Electric output was up 3.5% compared to the same week in 2014, with 71.33 MWH of electricity produced compared to 74.68 MWH produced for the same period last year. According to numbers from the American Iron and Steel Institute, domestic raw steel production was up 0.7% from the previous week, coming in at 1.71 million tons compared to 1.69 million tons last week, with a capacity utilization factor of 71.4%. However, steel production remains down sharply from the same week last year, when 1.88 million tons were produced at a capacity utilization rate of 78.1%. Steel production continues its slide year-to-date – down 8.0% to 64.36 million tons produced compared to 69.99 million tons for the same period last year. In terms of regional coal production, all three major basins reported modest gains for the week ending September 19th compared to the previous week, but all continue sharply lower compared to the same week in 2014. The Appalachian Basin finished at 4.57 million tons, up from 4.44 million tons last week (2.9%). Interior Basin production also finished slightly up at 3.46 million tons compared to 3.35 million tons last week (2.3%). Western production finished the week higher at 9.78 million tons from 9.57 million tons last week (2.1%). However, production remains sharply below the same week in 2014. The Appalachian Basin is off by 11% from the same week last year. The Interior Basin is off 8.5% from 2014. And Western production is off 7.9% from the same period in 2014. All three basins also continue to report significant declines in production year-to-date, with Appalachia down 11.9%, the Interior Basin off 7.4% and the Western Basin down 6.9%. Looking at the previous 52 weeks, all three basins continue lower for the period ending September 19th, with the Appalachian Basin down 8.7%, the Interior Basin down 2.9% and the Western Region down 3.0%. Production in the Interior Basin fell to 178.17 million tons from 183.50 million tons for the same period in 2014. Appalachian production fell for the period to 244.12 million tons from 267.29 million tons. Meanwhile, Western production is down to 514.74 million tons from 530.64 million tons in 2014. According to the West Virginia Office of Miners’ Health Safety and Training, coal production in the state now stands at 66.87 million tons through September 17th. Of that total, 53.60 million tons was mined by underground operations and 13.27 million tons was produced by surface mining. A total of 113 mines are now reporting production through July 2015. According to WVOMHST, coal mining employment in West Virginia fell slightly to 15,036 total miners, with 12,202 working underground and 2,834 working on surface operations. The office does not report data for contract miners or preparation plant workers on a weekly basis. According to EIA, West Virginia coal production for the week totaled 1.92 million tons compared to 1.89 million tons for the previous week (1.5%). Meanwhile, West Virginia production is off by 11.1% from the same week in 2014. Production was up in both the northern and southern coalfields of West Virginia compared to last week, by 1.3% and 2.6% respectively. However, production is off in both areas year-to-date, by 0.6% and 17.2% respectively. Coal production in Kentucky for the week ending September 19th was sharply up compared to the previous week but remains down from the same period in 2014. Kentucky production for the week was reported at 1.30 million tons, up from 1.24 million tons last week but down from the 1.52 million tons for the same week in 2014. The eastern and western regions of Kentucky also increased week-over-week, but remain sharply lower from the same time in 2014. Eastern Kentucky reported 637,000 tons produced for the week, up from 598,000 tons the previous week and off from 746,000 tons for the same week last year. Western Kentucky reported 666,000 tons of production, up from 645,000 tons the previous week and off from 775,000 tons in 2014. Year to date, production in Kentucky is off by 15.5%. Meanwhile production in the state is off by 12.4% for the previous 52 weeks, with western Kentucky reporting a 10.6% decline and eastern Kentucky operations reporting a decline of 14.2% year-over-year. Wyoming coal production was up for the week, coming in at 7.12 million tons, compared to 6.98 million tons the previous week, but down from the 7.70 million tons produced for the same week in 2014 – a decline of 7.8%. For the previous 52 weeks, Wyoming production is down 2.2%. Illinois production also finished slightly up at 1.18 million tons compared to 1.16 million tons last week. Illinois production is up by 10.9% for the previous 52 weeks. Indiana production came in at 669,000 compared to 659,000 tons last week and 751,000 tons for the same week in 2014. Indiana production is down by 6.5% over the previous 52 weeks. Pennsylvania production for the week was also slightly up, coming in at 1.09 million tons versus 1.07 million tons for the previous week and 1.18 million tons for the same week in 2014. Production in the Keystone State continued its slide, down 8.9 percent year-to-date and 3.8% for the previous 52 weeks. Ohio production also ticked slightly higher – at 362,000 tons compared to 345,000 tons the previous week and 416,000 for the same week a year ago. Ohio coal production is off 16.0% year-to-date and down 13.8% for the previous 52 weeks, compared to the same period ending in 2014. Virginia production increased slightly this week – to 240,000 tons compared to 234,000 tons for last week and 285,000 for the same week in 2014. Virginia production year-to-date is off by 16.0% and down for the previous 52 weeks by 15.1%. Coal prices on the spot market were mixed this week. Central Appalachian coal rose 5 cents a tons to $48.65 per ton or $1.95 per mmBtu. Northern Appalachian coal also added 5 cents, coming in at $51.95 per ton or $2.00 per mmBtu. Illinois Basin coal closed unchanged at $34.35 per ton or $1.46 per mmBtu, while Powder River Basin coal held at $11.55 per ton or $0.66 per mmBtu, and Uinta Basin coal prices were firm at $39.70 per ton or $1.70 per mmBtu. Meanwhile, on the NYMEX Coal Futures board, Central Appalachian coal held at $42.50 per ton while Western Rail fell to $10.86 per short ton from $10.95 a week ago and Eastern Rail coal is down to $43.53 per short ton from $43.78 the previous week. Natural gas prices on the Henry Hub fell 1 cent to finish the week at $2.69 per mmBtu. Natural gas producers once again reported a significant increase in their stored reserves – up 73 billion cubic feet compared to the previous week, for a total of 3.33 trillion cubic feet in storage. This week’s working natural gas rotary rig count shows gas producers continuing to take rigs out of service. The number of working rigs is down by four from last week to 838 working rigs. And the count remains down by 1,093 rigs from a year ago – a decline of 57%. This number includes rigs working in both oil and gas plays. CHARLESTON — Why is it important for you to be at the OSM hearing in Charleston on September 17th? 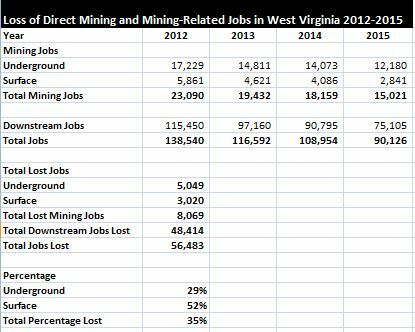 Here’s why… 8,609 direct mining jobs lost in just the past three and a half years — 35 PERCENT of our mining workforce! Add to that 48,414 indirect and support jobs and that means the state has lost 56,483 total jobs in just the past four years. Let those numbers sink in if you don’t think the coal industry matters to you. Be at the Charleston Civic Center at 5 PM September 17th! 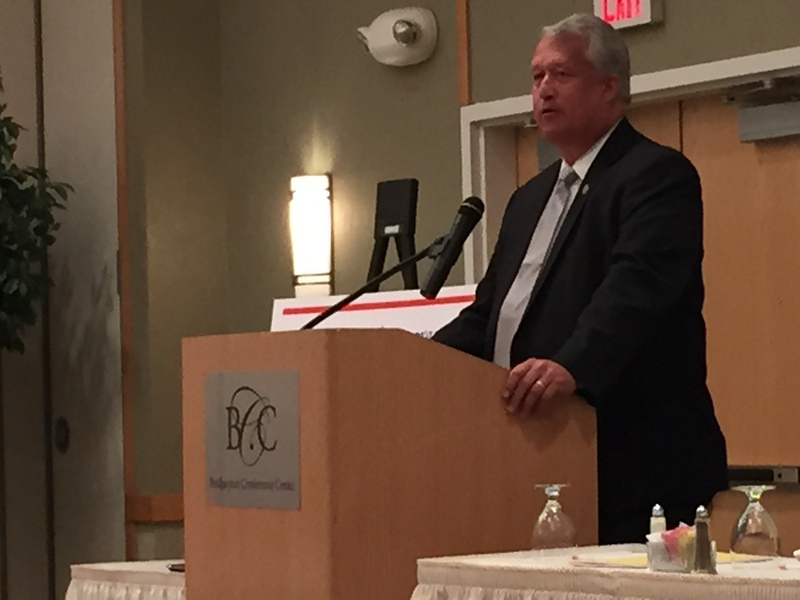 BRIDGEPORT — “The Legislature made substantive and impactful progress in the 2015 legislative session and work has begun in earnest on our 2016 agenda,” said Senate President and Lieutenant Governor Bill Cole in his opening remarks during BIC’s fourth regional business forum Thursday at the Bridgeport Conference Center in Bridgeport, WV. 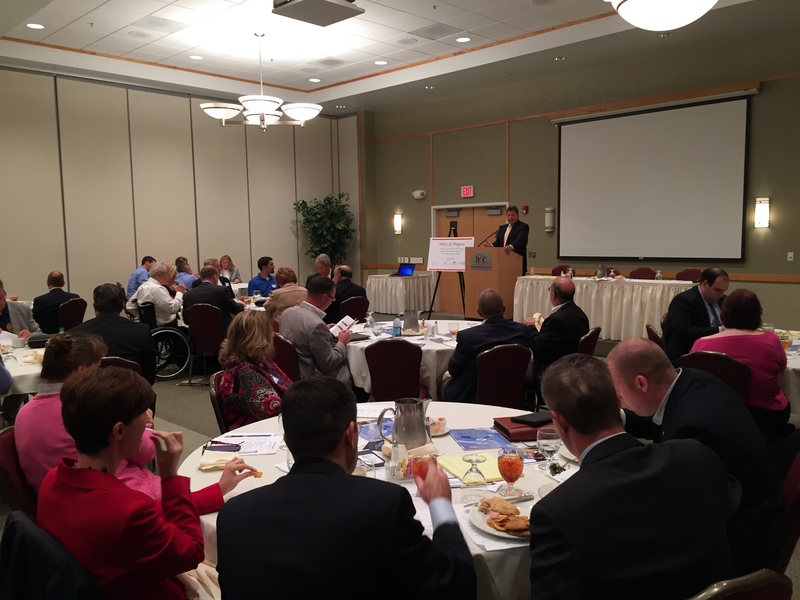 Nearly 60 business and policy leaders from north central West Virginia and across the state participated. “The legal reforms passed during the last session are starting to bear fruit,” Cole said. Senate President Bill Cole talks about the 2015 Legislative session and plans for the 2016 session during the meeting at Bridgeport. “We’re going to continue to move the needle for West Virginia and we’re going to do it in a big way in 2016,” Cole stated. “We’re going to take on the hard issues, many of which may have been taboo in the past, but which will make us competitive and bring us in line with other states.” Cole cited Right To Work and Prevailing Wage as policy initiatives the legislature will be considering. “We’ve got to make changes now,” Cole said. “West Virginia is one of the only states in the country to see a population decrease and we’ve got to reverse that trend. To do that, we need to double down on the things that are working and stop doing the things keeping us at the top of the “bad” lists. Cole noted his appreciation for BIC’s role in promoting the policies, as well as the political candidates, that West Virginia needs to move the state forward. 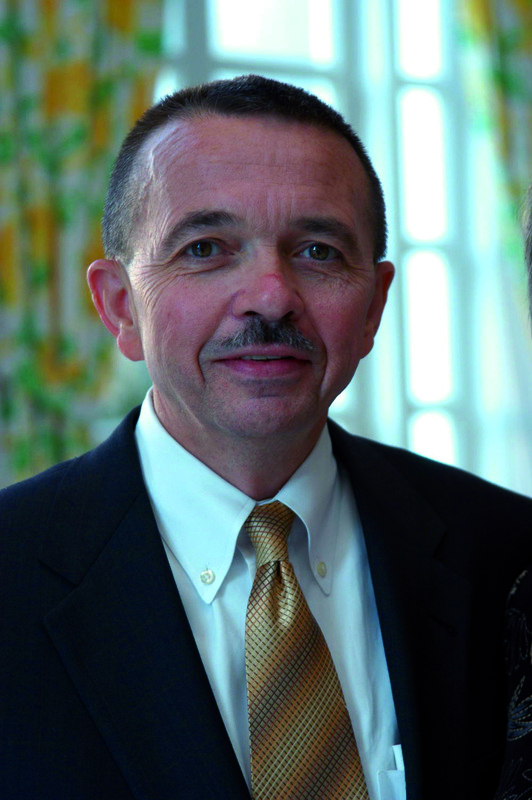 Chris Hamilton, Chairman of BIC, framed the challenges facing West Virginia and BIC’s role in spearheading positive change. “It is all of our duty here today to support those tackling the hard issues and to elect candidates that will continue this trend into the future,” Hamilton stated. The event featured a variety of speakers, covering various issues. Taylor said the Chamber is working to build a coalition of public charter school supporters and encouraged those in attendance to contact her should they like to participate. Delegates Amy Summers and Terry Waxman outlined their desire to improve West Virginia’s healthcare and welfare systems and to implement solutions addressing substance abuse. Delegate Paul Espinosa, Kathy Wagner, President of the Harrison County Chamber of Commerce, and Barbara DeMary, Executive Director of the Region 6 Workforce Investment Board, outlined the economic development challenges and opportunities facing north central West Virginia and the region. “The two greatest challenges facing north central West Virginia right now are 1) retaining the businesses we have here today, and 2) finding workers for jobs both now and in the future,” said Wagner. DeMary informed the group that there are a lot of people unemployed and in need of training in the region. She outlined a federal program that will incent food stamp beneficiaries in the Monongalia, Harrison and Marion County region to begin job training programs or lose their food stamp benefits. The next BIC regional forum will take place in Vienna on Oct. 8. SAVE THE DATE — WE NEED YOU THERE TO HELP SAVE YOUR JOBS! The federal Office of Surface Mining (OSM) will hold a public hearing in Charleston on Thursday, September 17, 2015 on what they’re calling the Stream Protection Rule (SPR), which is actually the Stream Buffer Zone Rule and is a complete “rewrite” of the federal surface mining act to the detriment of the mining industry and landowners across the country. This hearing will be held at the Charleston Civic Center, beginning at 5:00 p.m. The actual hearing will not begin until 6:00 p.m., but we need to have plenty of miners, suppliers, their families and supporters there early to insure we get signed up to speak before others. Prior to the Charleston hearing, there will be hearings (noted below) in Pittsburgh and Big Stone Gap, VA, which also need strong industry participation. The earlier hearings in Denver and Lexington, KY have been successful with good industry presence and involvement. We’re already hurting badly enough, without them “piling on” with more over-reaching regulations. And, these really over-reach as they will make it virtually impossible to get a new mining permit, renew the ones we currently have or continue operations in any sense. WE NEED YOUR HELP! Please RESERVE THE DATE and plan to be in Charleston on the 17th to help us protect our jobs from this latest attack by Obama’s War on Coal! If you can’t make it to the Charleston event, here are the dates and sites for the other hearings in our region. Would that change your opinion of the man? Of course not, he’s a thief and it was YOUR money to begin with. The only reason he gave you back any of the money was to placate his own guilt. The Charleston Gazette suggests that we should be grateful to someone who has, for more than six years, systematically done everything possible to destroy America’s coal industry, our coal miners’ jobs and families as well as the counties and communities that rely on us mining coal, all because he now wants to toss a few dollars back to his victim. This is simply guilt money and the most damaging type of hypocrisy. 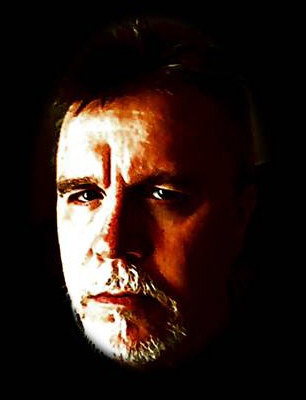 While I am happy that the Gazette has finally acknowledged the pain the Obama War on Coal has caused the coalfields communities, their endorsement of Obama’s “plan” is little more than the words of a co-conspirator in the mugging trying to absolve their own guilt. Now, we should do everything we can to take the money because the people of the coalfields ARE hurting and we want to do whatever we can to help, but it’s important to put and keep this Obama “payoff” into perspective. • Provide $5 million for “brownfields” work cleaning up pollution at coal-fired power plants. 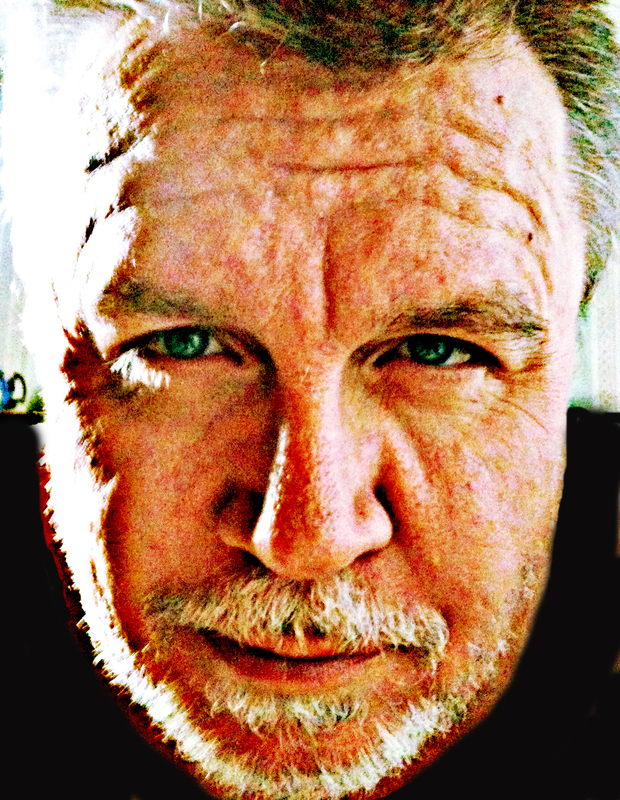 • Award $3.9 billion over a decade to shore up pensions and medical care of retired miners. So how much of this “Obama payoff” can West Virginia realistically be expected to get? In all likelihood it would be a small fraction of the total package – on the order of a few million dollars if you set aside the $3.9 billion that would be used to provide for miner and retiree pensions. Never mind that every dime of this money came from the coalfields to begin with — paid into the AML Fund by companies as a portion of their sale price of coal. So we are going to get back a small portion of the money we paid all these years? By my calculation that is $256 million for the first year and $200 million in the subsequent four years in temporary aid for all the coal-producing states! In addition, $3.9 billion will be parsed out over ten years to “shore up” pensions and medical care for retired miners. Now it is important to say we applaud the effort to make sure mine retirees and their surviving spouses are provided for. It’s also important to say those pensions would likely not be in trouble today were it not for the actions of this administration. In fact, we have warned for the past seven years that this was coming, but neither the Obama Administration nor their supporters in the media would listen. I don’t think they ever considered or contemplated the far reaching negative impacts of their orders and behavior because reduced production brings reduced payments to these funds and no one should every be denied their pensions they‘ve worked their whole life to earn! It is also important to understand that is not all of the remaining $256 million in temporary aid is directed to West Virginia or even Appalachia (as apparently the Gazette would have us believe). This would be spread out across all the “coalfields” of the United States – all 20+ states and I am sure some would also find its way to the “coalfields” of Chicago and Los Angeles since they use electricity! To put that into clear perspective, the coal industry has historically provided about $3.4 BILLION EACH YEAR in wages in West Virginia alone and $26 BILLION EACH YEAR to the state’s gross state product. Obama has attempted to systematically strip us of that economic base. The Gazette would have you believe the decline in the coal industry is “attributable to a flood of cheap natural gas, to depletion of good Appalachian coal seams, high company debt and the fall of coal prices,” but this is neither the whole nor accurate story. We could have wrestled with each of these factors in a free market of competition, but when our own government has it’s “foot on our throat”, picking winners and losers through the Obama assault on coal and its use, each of these factors are accentuated through the uncertainty that it has perpetrated. The coal seams of Appalachia (West Virginia) are not in significant decline. In fact, underground productivity is at near record highs. Our overall productivity, however, has declined due to the reduced use of highly productive surface mining. Falling coal prices are directly attributable to the war on coal and the push to move the electric generation to less use of coal by the forced closure of much of the nation’s coal-fired power generation fleet. This so-called “cheap” natural gas is actually 31% MORE expensive on a per million Btu basis than West Virginia coal and is still below its market breakeven price even at this price level. And company debt is the direct result of these factors making it difficult if not impossible for some of these companies to compete. If you really want to help West Virginians, and Kentuckians, and southwestern Virginians, and all the others across the coalfields of this country, you wouldn’t just throw us some table scraps, you would get out of the way and help us put our miners back to work. I would agree wholeheartedly that the EPA has “not forgotten” Appalachia in making its new rules. In fact, it has TARGETED Appalachia with those rules, doing its best to destroy an entire industry and the communities that depend on it. In making their assertion for the umpteenth time that “there is no war on coal,” the Gazette editors show they are either ignorant of reality or actively involved in attempts to deceive the public. Fact 1: In 2008, one year before Obama, West Virginia produced 160 million tons of coal and there were 24,000 people actively employed directly as coal miners in the state. Each of those 24,000 jobs supported another five jobs for a total of 120,000 indirect jobs. Fact 3: Literally the day after Obama takes office the EPA begins a regulatory assault on coal mining that continues to this day — an assault that goes far beyond the congressionally mandated authority provided to EPA. Fact 4: Regulations like the MATS Rule, like the Existing Source and New Source Performance Standards, and many, many others have resulted in the closure or pending closure of hundreds of coal fired power plants. It has also essentially stopped the construction of any new power plants or any major overhauls to existing ones that might trigger NSPS standards. Fact 5: Even today, that “cheap natural gas” is higher on a per million Btu basis than any coal. Despite this, “cheap natural gas” is trading at least 50 percent below its market breakeven price (the price to produce it). IF any of you have the slightest knowledge of basic market economics, you will understand that this cannot continue and the “cheap natural gas” will have to “skyrocket” in price. Fact 7: According to those same utility executives, consumer rates for electricity in West Virginia have doubled in the past seven years — yes, they are up 100%+ since Obama took office and still more increases are pending. These increased rates are creating energy poverty in the state, taking more and more of the monthly income of retirees and those on fixed income to simply pay for their electric bills. Fact 8: Obama Administration officials have themselves characterized the regulatory assault on coal as a “war on coal.” I would think they would know better than the editors of the Gazette their policy goals. Fact 9: Today, as a direct result of the Obama policies, West Virginia’s coal production has declined to just 116 million tons (down 30 percent) from its 2008 levels of 165 million tons. Likewise, coal mining employment has fallen from 24,000 direct coal miners in the state to just 15,000 today (down 37.5 percent) from 2008. And those 9,000 lost coal mining jobs translate into a further loss of another 45,000 support jobs in the state, most of which are in the poorest, most rural areas of the state, where replacement jobs are non-existent. Fact 10: As a result of the run up in unemployment due to coal industry and related job losses, unemployment rates across the coalfields are in excess of 12 percent with highs of 15-16 percent in several counties. And by extension, the levels of childhood poverty have skyrocketed in the state along with all the problems that result. Fact 11: The wages and taxes lost as a result of the Obama regulatory assault on coal are measured in the BILLIONS of dollars annually. Obama’s “help” is a small fraction of a single year’s economic contribution of the coal industry. It is essentially throwing a few table scraps to the “poor West Virginians” and then telling them to go away and be grateful for even being acknowledged. Fact 12: West Virginians deserve better from their government AND their media than their condescension. They especially deserve a media that doesn’t push a political agenda at the expense of truth.